This year marks the ten year anniversary of the release of Marvel’s Iron Man, the first release of Marvel Studios. Back then, Marvel Studios was taking a total gamble with it’s first release. The executives were certain that they would be unable to support a full slate of films if their first was not a success. Now of course, Marvel Studios has become the dominate player in the film industry — with a franchise box office total that has outpaced Star Wars, Harry Potter, James Bond and the like. 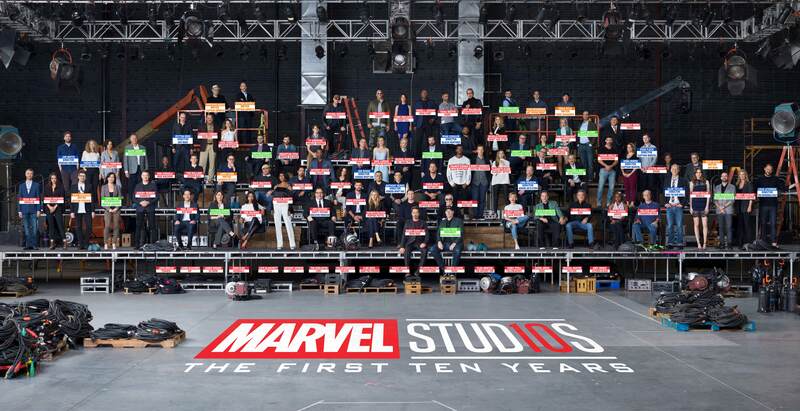 To celebrate the anniversary of the studio, Marvel gathered it’s leading creative contributors this past October for a once in a lifetime photo shoot. Did they get everyone right? Who else might have been unable to attend this historic photo session? Comment below and brag about your good eye sight!